how can get the "upload file" and "country-region-selector" compoments in office-ui-fabric-react. 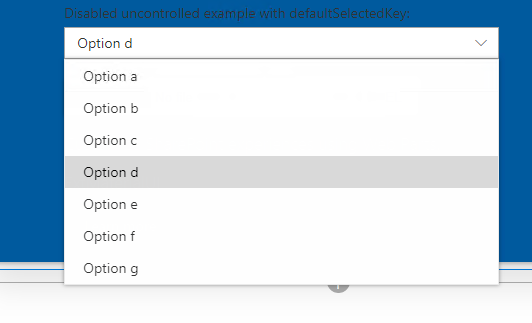 it seems that office Ui fabric doesnot have those compoments. on React there is only this https://npm.runkit.com/react-file-input for the "upload file" and this enter link description here for the "country-region-selector"
but not with css of office UI fabric ? any idea how to adapt those react native compoments to Office UI fabric or is there any compoments on Office-UI-Fabric, and how can we explore the file with adding it to list. 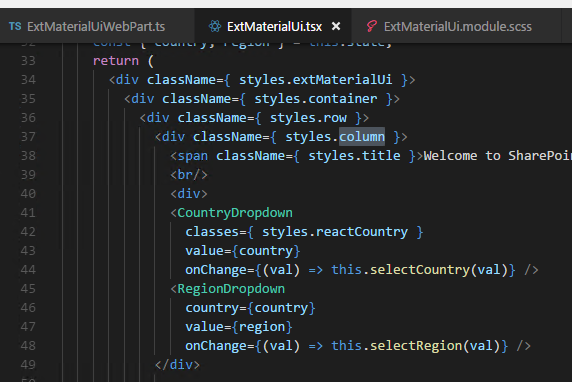 There is no existing implementation for country region based on official link,while you could custom React-Country-Region-Selector style by classes/IDs properties. Not the answer you're looking for? Browse other questions tagged sharepoint-online file-upload office-ui-fabric-react reactjs or ask your own question.